Every four years, the Summer Olympics take over televisions, radio stations, and computer screens around the world. Whether you plan on cheering for the United States or secretly rooting for an underdog, make it a priority for your property to celebrate in style! From snacks to playlists, give residents the opportunity to live out their gold medal fantasies without having to leave your apartment community! Encourage guests to bring unique, worldly dishes in honor of the countries that are competing! For example, someone can bring fish and chips as a nod to Great Britain or hot pretzels and beer cheese dip to represent Germany. Be sure to include a few American classics such as corn on the cob, hot dogs, and apple pie! To avoid duplicate dishes and get an estimate of how much table space is needed, create a Google Sheet or Facebook event page to have guests sign up for what dish they plan to bring. Whether it’s a sprint or a marathon, every second counts during the Olympics. Organize the furniture in the community room to ensure front row worthy views for everyone. The television or projector screen should be the focal point of the room, with the sound at a comfortable level to deflect from overpowering side conversations. Avoid rows as this can feel “business-like” and instead arrange chairs and couches in a semi circle for a stadium-like atmosphere. This will encourage interaction between guests from every side of the room. Give your residents the red carpet treatment with a designated area for pictures and set up an Olympics themed backdrop to pose in front of. Use the apartment community colors in the design and encourage guests to use a unique hashtag to spread the word on social media. Incorporating your property color scheme and name is a great way to spread brand awareness, as well as show potential residents the fun they could have in a new apartment community! 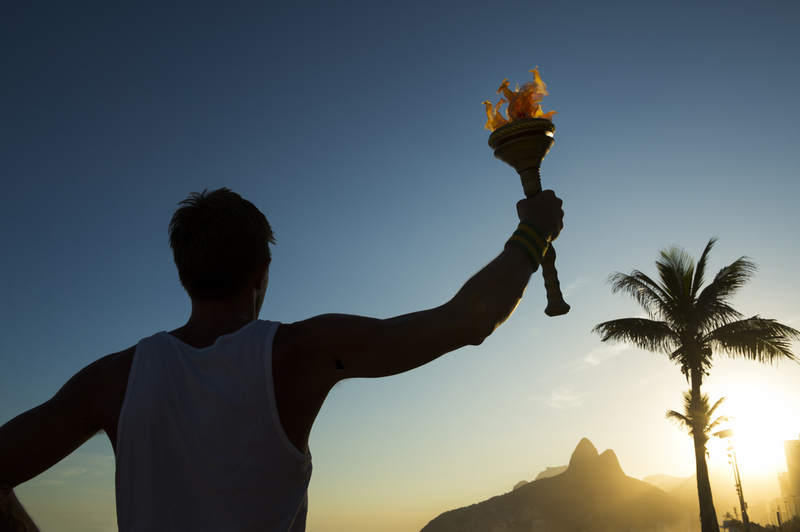 Get residents ready to cheer with a killer Olympics-themed playlist. Be sure to include unofficial sports anthems to get the party started and the adrenaline pumping. The right music will set a festive tone for the party, as well as add to the sports themed ambiance. Create a free public playlist for guests to add songs, as well as to enjoy the motivational mix long after the party ends and during their next workout at the on-site fitness center. This highly anticipated event only comes around once every four years, so why not make the most of it? An Olympics viewing party is a great way to appeal to all demographics, while encouraging interaction and community between neighbors. For more ideas about resident events, or to see some of the great communities within our portfolio, contact us today.